We have eight cabins available to rent nightly and weekly. 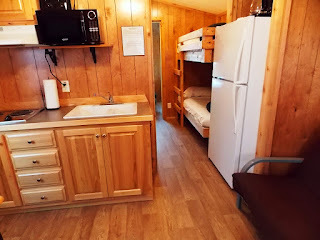 All cabins have a separate bedroom with a double bed, a futon or sleeper sofa in the main room, and five cabins have bunk-beds in the main room as well. One cabin has two sets of bunks in the bedroom and a sleeper sofa in the main room. All cabins have kitchenettes, full sized bathrooms and include linens. $129 on holidays per night. Minimum of three nights. Ask about availability for one night. $129 per night. Maximum the cabins can sleep is six people. Pet friendly cabins available. Additional charge may apply. All cabins have porches with charcoal grills, tables and chairs. Linens and kitchen utensils are provided. 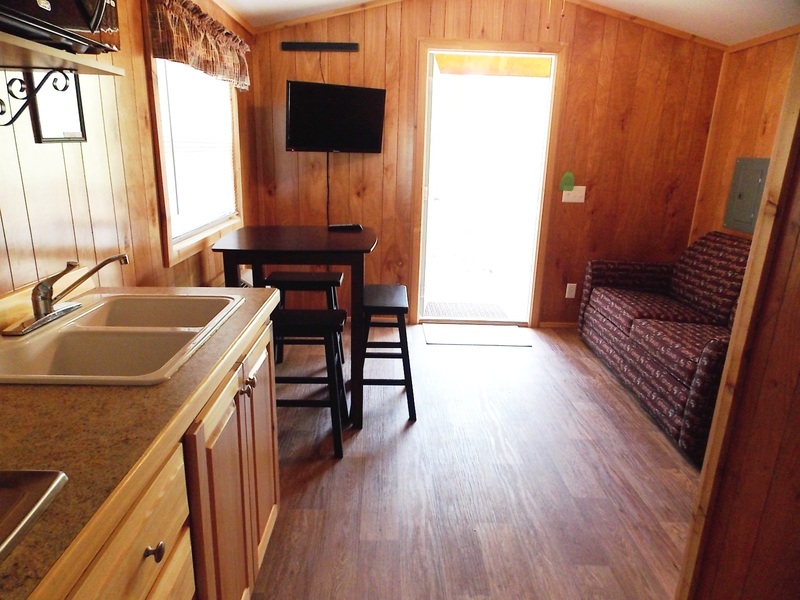 All cabins have kitchenettes with dishes and silverware, a mini-fridge, a two-top stove, microwave, coffee maker, and toaster. Four cabins have a full size refrigerator. Ask about availability for these cabins. Each cabin has a different sleeping configuration. 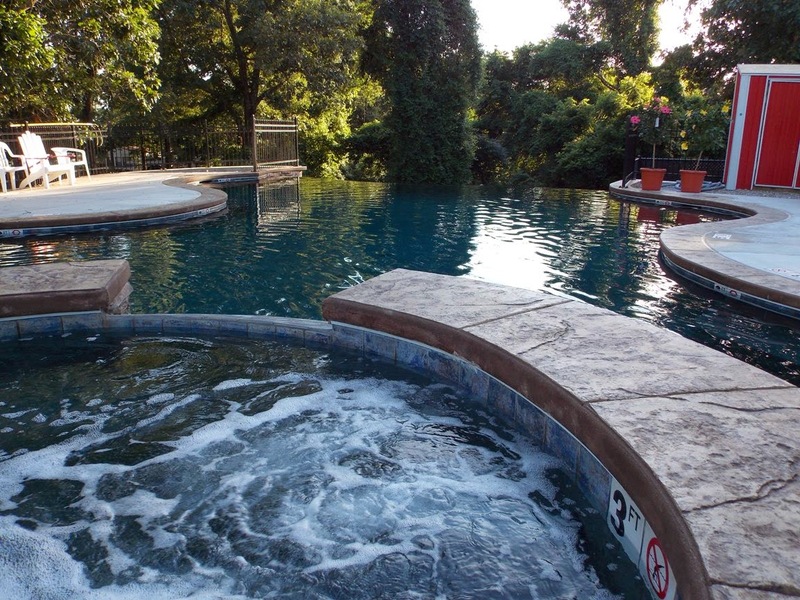 The pool offers a great place to hang out after fishing. We have a two week cancellation policy for a single cabin. If you have multiple cabins we have a 30 day cancellation policy.